Chi-town's very own and Billboard.com's 'one to watch' Tink is picking up from where she left off with her new video to ‘Used 2 Know’. As she continues to draw attention across the globe for her 90's style of R&B, Think was recently listed as Billboard.com's 'one to watch' and continues to gain buzz for her undeniable talent. The multi-talented singer/songwriter and rapper has been compared to the likes of Aaliyah, and her two latest tracks give a perfect balance between her rapping and singing styles. Having only released ‘Used 2 Know’ to fans just two weeks ago the starlet takes time off from working with Timbaland to give a visual to her breakdown of friends and family who come and go, ‘Used 2 Know’, produced by Vogue featured beat-maker Spaceman. With ‘Men’ a collaboration from herself and DJ Dahi (Drake's ‘Worst Behaviour’, Kendrick Lamar's ‘Money Trees’, SZA's ‘Babylon’) Tink gives her softer, more vocal side with a ‘Yours Truly’ and Adidas Originals Songs from Scratch series. ‘Men’ plays out as an instant anthem to the women as she lays some home truths on men and their dirty games. 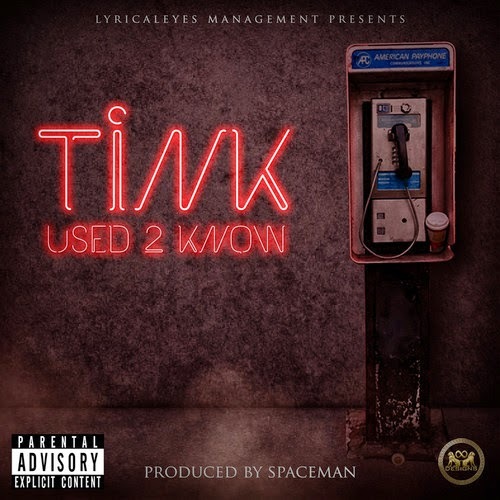 ‘Used 2 Know’ adds to the collection of songs showing off Tink's evident talent, check out the video below.